Real Madrid coach Zinedine Zidane tried to hide his disappointment at missing the chance to close to gap on rivals Barcelona at the top of La Liga to six points on Saturday. Madrid failed to capitalise on Barca's 2-2 draw at home to Celta Vigo earlier in the day as they played out a 0-0 stalemate at Athletic Bilbao to drop points for the sixth time in 14 La Liga games so far this season. "For me the most important thing is to keep thinking that we are going to have another opportunity throughout the course of the season to cut the gap," said Zidane. That opportunity to cut the eight-point gap between the sides is most likely to come when Madrid host Barcelona in three weeks time. However, Real could go into that match down in fifth in the table as they currently lead Sevilla only on goal difference in fourth and trail Valencia and Atletico Madrid. Zidane's men will also be depleted without captain Sergio Ramos, who saw his 24th career red card late on at Sam Mames, Dani Carvajal and Casemiro through suspension when Sevilla visit the Bernabeu next weekend. And Real will play a game fewer in La Liga than their rivals before the end of the year as they jet off to contest the Club World Cup between the 13th and 16th of December. "At the moment there are three teams in front of us, but there are still six months left. We are at little behind, but there is a long way to go," added Zidane. Zidane had shown his intent to pounce on Barca's slip-up by naming his strongest available side as Gareth Bale once again missed out through injury. Without the man from Cardiff, Madrid started with the same line-up that started the Champions League final in the Welsh capital six months ago. 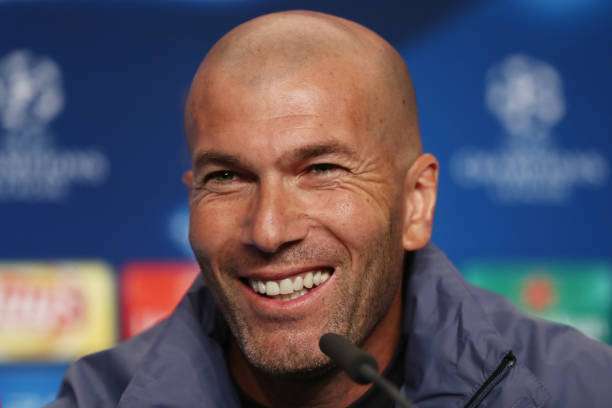 However, Zidane insisted it is merely results and not the level of performance that has changed for Real since they swept Juventus aside to retain the Champions League and beat Barcelona to the La Liga title last season. "It is the result, nothing more. When I look at the game today, I can't say we are playing worse," added the Frenchman. "What changes things are goals. That day we scored four against Juve and today we couldn't score. "Last season we would score goals in the last minute and at the moment that isn't happening.